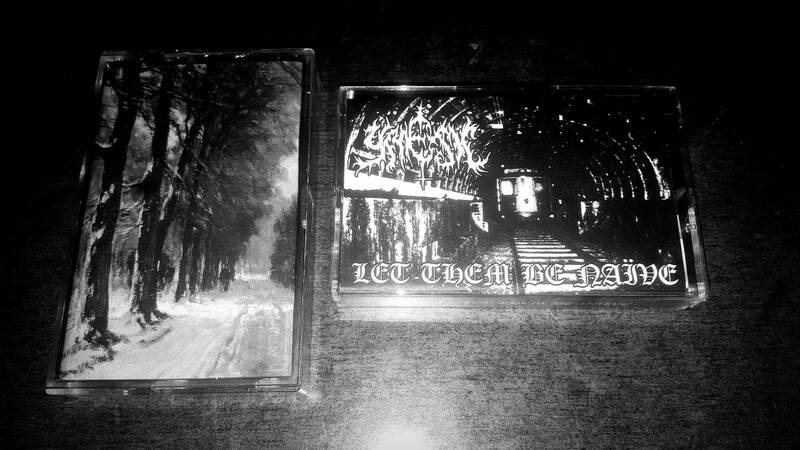 Kaladruna is back from respite with two amazing releases. 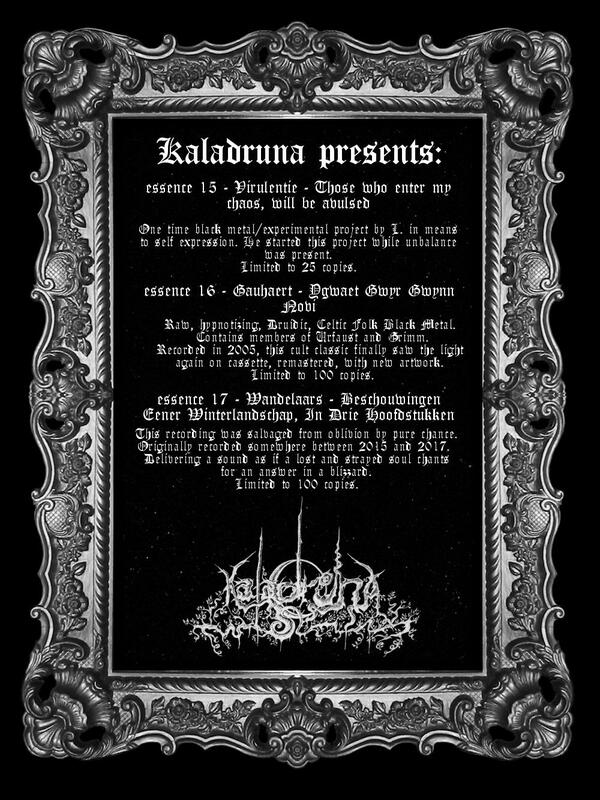 Raw, yet melodic and atmospheric Black Metal thematically dealing with the philosophies of German philosopher Friedrich Heinrich Jacobi. Project of R.v.R. (Seer's Fire, Cer, Wandelaars and Toorvond). Long forgotten recordings from 2004 and 2005 from one of the most disturbing projects from The Netherlands now finally seeing the light of day. A horrid mix of Raw Black Metal and Industrial sounds. Hymns for the mentally disturbed. "Mental illness is a blessing upon mankind". First shipments go out this weekend. Alternatively you could try out the new shop set up at http://kaladruna.nl. Everything is tested and works, however, please write me on the above address if you run into any issues. I would love to buy Kaladruna. I am waiting for it from very long time. I am glad, i have found your post. I was searching for the bestessays for my little boy and while searching essay for him, i have found your post in which you have shared links from where i can buy kaladruna.